It was a defining moment for Alabama sophomore quarterback Tua Tagovailoa, and one that Heisman voters wouldn’t forget. 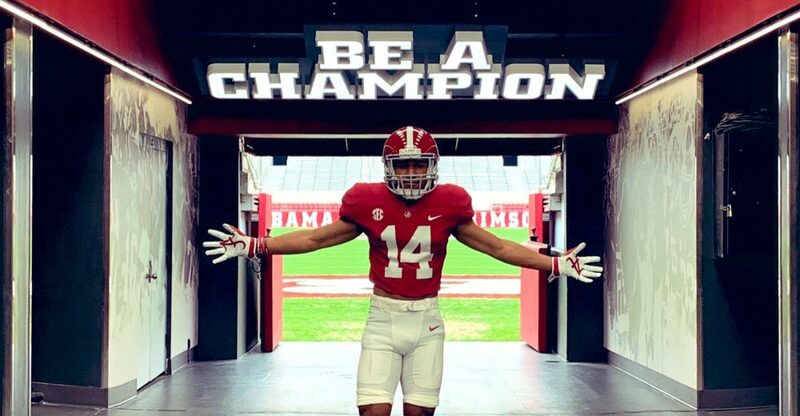 On an ankle that had been surgically repaired since the last time we saw him play in the SEC Championship Game against Georgia, Tua completed 24 of 27 passes for 318 yards and four touchdowns in a blowout win that secured Alabama's place in another title game. Not only did Tua set an Orange Bowl passing efficiency record, but he also proved once and for all that he’s the most dominant player in college football. One deserving of the 2018 Heisman Trophy. But Heisman voters already placed their votes nearly one month ago and chose Oklahoma’s Kyler Murray, who struggled against Alabama’s defense before posting big plays late in a game that was already decided. On the biggest stage of the season, it was Tua throwing more touchdown passes than incompletions while Murray looked ready for Major League Baseball. And therein lies one of the biggest problems with college football and the Heisman Trophy. Looking to fill the time between the Army-Navy regular-season finale and the bowl games, the money-hungry commissioners have decided to hand out the most prestigious awards in college football a month too soon. This isn’t the first time we’ve gone through this, either. In fact, it’s a common problem for the Heisman Trophy Trust. Following the 2005 college football regular season, voters handed the famous stiff-arming trophy to USC running back Reggie Bush only to have him outshined in the national championship game by Texas quarterback Vince Young, who emerged as the best player in the nation while leading the Longhorns to the title. Then, just like now, if the award were voted on after the national championship, the results would be different. You could make the same argument for Deshaun Watson following the 2015 season. Voters awarded Alabama’s Derrick Henry following an SEC single-season rushing record season (1,986 yards) thanks to Nick Saban feeding him 150 times during the final four SEC games of the regular season. But had the ballots been counted after the national championship game—in which Watson led his Clemson Tigers to a narrow defeat against mighty Alabama by throwing for 405 yards and four touchdowns—there likely would have been a different result. There was no doubt that night, watching Watson take on a defense that featured 18 players who have since been drafted, that he was the best player in the nation. The same is clear for the 2018 award. Voters live in the moment, and they were too caught up in Tua’s struggles against Georgia in the SEC title game while Kyler Murray dominated Texas in the Big 12 championship. But Tua got no credit for playing injured and gutting out a performance while barely able to drop back in the pocket. Instead, the narrative became that backup Jalen Hurts was just as good after replacing the injured sophomore. On one day, voters shifted to Murray. If one game can make the difference between winning and losing the Heisman, shouldn’t the biggest games of the season be factored into the race? The NCAA and the Heisman Trust, instead of being afraid to lose viewers to the NFL playoffs, should realize that voting after the College Football Playoff is the only way to assure the right player wins the Heisman.